Happy Where You Are Now? Were You Happy Before? Correction: In my last post near the bottom I wrote “Receiving $234” – that should have read “Receiving $1,234”. I hope you figured it our yourselves but I thought I should mention it. First of all, I’ve got to say I like it here in David, Panama. But it seems that some of the Gringos I’ve met would rather talk to me about their perceived negatives, even if we don’t know each other, meeting in a store and such. Bummer. I don’t associate with negative people so I politely distance myself from any I meet. It makes me wonder if they were happy wherever they came from back stateside (an old phrase we used on Guam back in the ’50’s). I’ve met some VERY happy expatriates whom I bet were pretty happy where they were in the states. Wherever You Go There You Are. During my researching for my last few posts I’ve done a lot of reading. Some of what I read really surprised me. I’ll admit I was “Pushed” plenty but “Pulled” even more by Panama, its people, the climate, lower cost of living, and the helpful expatriate community. Wait up-Okay…, so when an American citizen complains about ethnic groups coming into his/her American town and clinging to “the old ways” it’s somehow different when a US citizen does the same thing in another country? There are so many neat things about different people and cultures that is seem that one would be MISSING OUT BIG TIME not to experience the richness of other cultures. On a personal note, our First Christmas in Panama was wonderful – the family up the street sent their 6-year-old daughter down 4 houses to invite us up to their place to watch the fireworks. You know, the ones you shoot off at Christmas? (Me either!) They brought out 2 chairs, gave us cups of apple juice, took photos of us and we BARELY KNOW these folks! And on Panama’s Mother’s Day they had brought us gifts of food around midnight. We were touched. None of this could have happened if we had cloistered ourselves away in a “Gringo Only” community. What a different and wonderful Holiday Season it has been. Yes, it’s good to be happy. Hope YOU are too! Posted on January 7, 2013 by joeltc1. This entry was posted in Uncategorized. Bookmark the permalink. Nice to see you’re catching on to what a welcoming place Panama is. In mi barrio I get all KINDS of gifts from my neighbors. New Years Eve (another great fireworks display) my next door neighbor brought me a plate of baked ham and a home made tamale which, I’m led to believe, is a traditional dinner here. I’m constantly surprised at the openness and warmth of the Panamanian people. Yes Richard, I’m liking it more and more in our neck of the woods. And we have the river behind us like the stream behind your place. Our neighbors are great, couldn’t ask for better! Just got my lower bridge today-my dentist, Dr Spiegel is a wonderful guy and the cost was very reasonable, MUCH less that the US price would have been. Wow, Just found your site. We are recent residents of Panama. When we came in October we had decided that Boquete was the place to be. After two months we had decided that it was too windy and cold for us. Last month we bought a place in Villa Mercedes in David and are loving it here. It is nice to find someone else who is not attracted to all the negativity that seems to generate from lots of expats here. For the most part I have given up on forums and reading blogs, because they are just nothing more than complaints about Panama. Nice to meet you. Excellent blog. Admire your positive attitude. I recently retired, have house in Italy where I will likely be spending Spring & Summer months. Would like to find warm place to spend the winter. Coming to David soon to visit relatives. Will be exploring options. Thank you, I am a positive person and hope my blogs reflect my attitude. This is a very warm place all year round, please let me know when you plan to visit, I’d love to meet up with you! Have used Doctor’s Spiegel (Father & Son) for the past 10 years. My 13 year old Daughter currently using the Father for her braces. 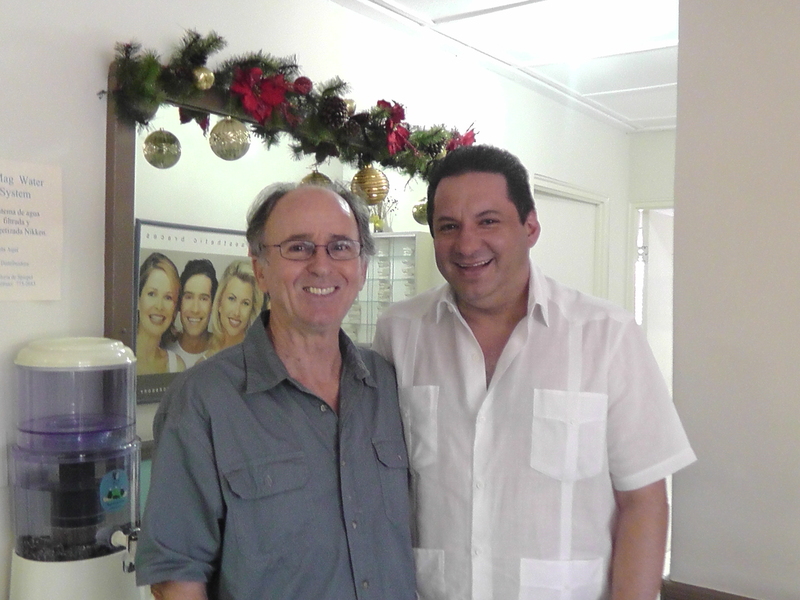 They are the nicest Dentist’s in David. seen the son and we all are very pleased. Good to know the Father can also be called on for braces. I have asked several questions on this blog… never to have been answered!!! Which is someone surprising. In any event, I will ask another. In order to apply for a longer stay (extended visa) in Panama do you have to use the services of an Attorney. No I’m not fluent in Spanish. Sorry, sometimes you address the question to Kris who has her own blog. I don’t have the answer and sometimes you mention PC which I know nothing about. Kris may have the answer or might point you in the right direction, she’s at http://blog.thepanamaadventure.com. Good luck!